R and R is a centre for artistic and intellectual activity located amid the slum resettlement colony of Lallubhai Compound. It opened on March 20, 2016 and operates out of a rebuilt shed located on the eastern edge of the metropolis. The name of the centre is a play on R&R, a policy acronym for Resettlement and Rehabilitation. R&R is a state-run programme to resettle slum dwelling families that are affected by large infrastructure projects. In the past ten years, more than 50,000 families have been displaced from their original locations around the city and resettled in densely packed neighbourhoods on the outskirts of the city. While such large-scale resettlement is not new, the experiences of the 70s—when similar numbers were displaced on account of an early resettlement drive—show that such neighbourhoods typically take a long time to ‘settle’. This happens, for the most parts, because displacement of the sort results in the loss of original networks, which are so vital for urban communities. Riffing off the policy jargon, R and R comes into its own through its many permutations including Rest and Relax, Research and Rethink, Roots and Renewals, Read and Recite, and Rock and Roll. These reinterpretations then become the broad thrusts for its programming. At the opening event, R and R was introduced, to a gathering of over 100 attendees from the Compound, through a programme that included readings of poems by Daya Pawar, Narayan Surve and Namdeo Dhasal. As part of the first phase of its programming, R and R is currently hosting a series of events, workshops and studios that address and develop the elements of the centre, with the garden and library as current focuses. In the case of the library, discussions have been had, calls for contribution have gone out, a broad focus in people’s histories has been realised and live translations (English to Marathi) of literary classics and pages from the Tell Me Why series, among others, are taking place periodically. As for the garden outside R and R, discussions with children and youth and adults from Sindhu Society have been held. The collective desires that emerged from these sessions—combined with discussions with experts—have shaped the idea of the garden to be. This idea includes a walking path, trees and swings. As it happens, most of the work on the garden has been taken over by a group of residents from the Society. Parallel to the above, R and R is also interested in developing an art collection and an exhibition programme. Both of these activities are also quite meshed with an expanded notion of the library, which will include artworks, toys and other objects. The space is currently holding its first exhibition titled Letter Opening, which deals with letter writing, as in both mail and characters. The exhibition is on for over a month, from May 29–July 2, 2016. During this time it opens up and interacts with the act of reading via the under construction library. Some of the more interactive works in the exhibition have drawn out the neighbourhood children who spend hours at the space drawing, colouring, solving puzzles or checking out the exhibition. In the morning a different age group of children occupies the space through the pre-school or balwadi, which runs six days a week. Zinnia Ambapardiwala studied physics, moonlights by day as a hairdresser and is a system administrator with CAMP, Pad.ma, and Indiancine.ma, since 2008. Rupali Gupte and Prasad Shetty are urbanists based in Mumbai. They believe that the urban realm is incoherent, unbound, unstable and gets worked out through multiple and messy logics. Their conceptual journey has moved from an urge for mapping cities, articulating problems and developing corrective interventions to looking closely at urban conditions, formulating newer ways to speak about them, and developing engagements to live and find delight. Their work often crosses disciplinary boundaries and takes different forms—writings, drawings, mixed-media works, storytelling, teaching, conversations, walks and spatial interventions. 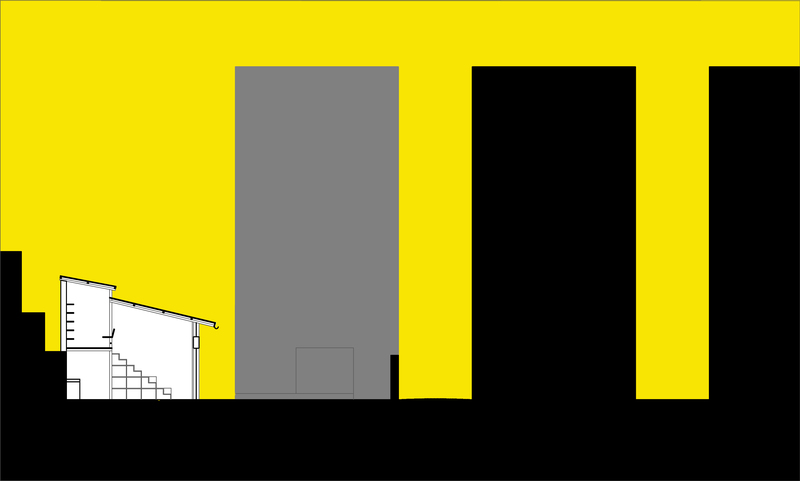 Some of their joint works include Multifarious Nows (2007), Manifesta 7, Bolzano, a multi-media map of the textile mill lands in Mumbai and Studies of Housing Types in Mumbai (2007) produced for Urban Age, London School of Economics, the work is a compilation of twenty-one housing typologies in Mumbai with narratives on the contexts of their production, Gurgaon Glossaries (2013) a methodology to read cities, shown at Sarai 09 Delhi, Mumbai Art Room and the Sao Paolo Architecture Biennale and Transactional Objects (2015) an installation shown at the 56th Venice Biennale. Khanabadosh is an itinerant arts lab founded in Mumbai in 2012 by curator, writer and researcher Gitanjali Dang. Persian for those who carry their homes with them, Khanabadosh thrives on latitude; not having a fixed address helps. Khanabadosh is committed to latent connections, combinatory play, interdisciplinarity, commons and engaging with the past in order to envision the imaginaries of the future. Recent projects include ‘Kairos’ (2013) Shedhalle, Zürich, a sequence of documentary screenings, which focused on disenchanted voices of the Indian subaltern and included works by Anand Patwardhan, Rakesh Sharma and Sanjay Kak and ‘The Age Of Re:discovery’ (2014), a nine-month long online workshop by Compasswallah which accessed the history of science through the urban situation. Khanabadosh in collaboration with Institute for Contemporary Art Research (IFCAR), Zurich University of the Arts (ZHdK) is the co-organiser of Draft. Ashok Sukumaran is interested in everything, but especially things that disappear from our sensibility, and then our intelligences. He has been trying to assemble recall mechanisms and provocations for the future from such diverse materials as electricity, leaky phone taps, neighbours and unlikely collaborations. He co-founded CAMP in 2007. Sunday, April 24, 2016. 4:00pm onwards. What is a Garden? Part 2. In which we talk about rats, plants, ropes, cocopeat, cleaning, and rain among other practical plans for the garden next to R and R.
Followed by a screening at 7 pm. of Dar-B-Dar, a new film by Akash Basumatari, Arpita Katiyar, Radhika Agarwal, Rajendra Jadhav, Saurabh Kumar and Sujata Sarkar. These debates, and the reasons given for the limit extension: de-congestion of Bombay, better administration, extending of civic services to Suburbs in exchange for city taxes, and control of crime -- still resonate in present times. For this occasion, an open discussion and mini-exhibition of maps and documents is being held at R and R, to revisit: the city from the perspective of the suburbs of various kinds; the Tadipaar- or discourse of crime in spatial expansion; maps pre and post limit extension; the splitting into two of Majas Village, the contemporary example of villages of Vasai-Virar which recently resisted a similar extension; and other shared observations with an aim of exploring limits of extension and extensions of limits. With contributions by: Simpreet Singh, Nisha Kundar, Ashok Sukumaran, Hussain Indorewala, Jerry Pinto, among others.